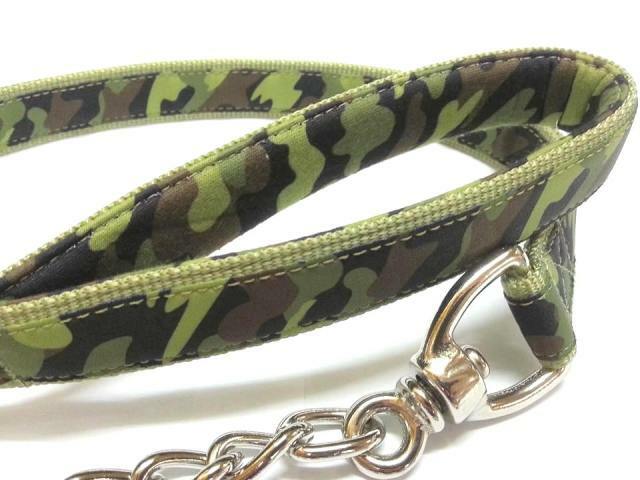 Camouflage Padded Leash *R-190001GR-L*Cushion Leash-Bu Shang Enterprise Co., Ltd. Please login to check the price. This series is made up full-color printed ribbon backed with solid polyester/nylon webbing. The padded neoprene handle treats your hands gently. It is strong and pleasant to touch. It is the ideal leash for daily walks and training, and is most suitable for large dogs. 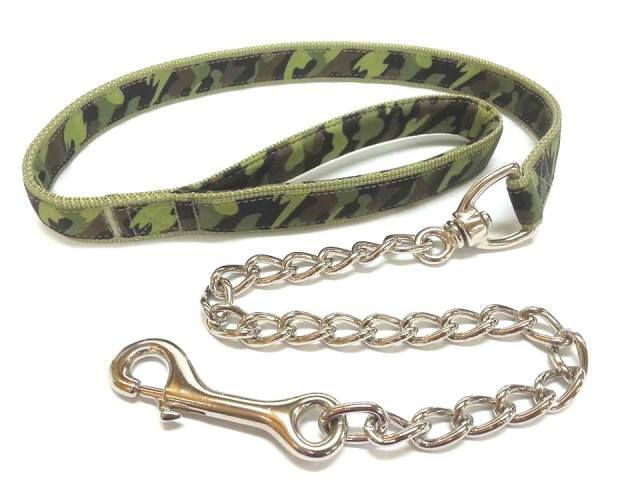 The chain part is for better active dogs walking. For solid polyester/nylon webbing, different colors (Color Code Chart) are available. We use nontoxic ink to print, and it is machine washable. Plus, free samples are available! Customized designs/colors are also welcome! ALL OF OUR PRODUCTS ARE PROUDLY MADE IN TAIWAN (MIT) !